Is Making a Bitcoin Investment Worth the Risk? Making a Bitcoin investment is now seen as a viable investment option. In fact, even traditional veteran investors are joining in to better spread risk across their portfolio. What’s more, it’s recent popularity can also be attributed to its recent price surge by over 400%. As a result, it has definitely grown into a valuable player in the cryptocurrency market. 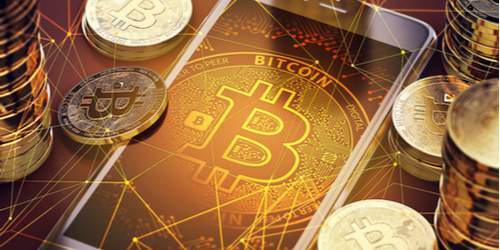 It really doesn’t come as a surprise anymore as Bitcoin, although highly volatile, has proven to be a highly robust digital currency. As there are no regulations or controls, it’s also quite easy for anyone anywhere to make a Bitcoin investment. This can be achieved through various online digital currency exchanges that enable the seamless purchase of Bitcoins by using your credit card or bank account. When you make a Bitcoin investment, you are basically buying a digital token. Further, it also runs on a decentralized network of computers where all transactions are transparently recorded, verified, and updated on an online public ledger known as the blockchain. However, Bitcoin isn’t owned or controlled by anyone on the planet. There isn’t a central regulatory authority, no governments, or banks lurking behind the scenes. But because it’s highly transparent, no one can make any changes to it without someone noticing. Although you may not have even considered it three years ago, having a Bitcoin investment in your investment portfolio is now a popular option. But cryptocurrency investors need to be more than aware of its highly volatile nature. This is evidenced by Bitcoin losing about 25% of its value after hitting its peak (so far) in 2017, then rallying right back up by 20%. As a result, this has made it extremely difficult to speculate about Bitcoin’s future. However, one thing is for sure, large institutional investors will get more involved as the coin market cap is expected to reach $147.4 billion. There are also new business models entering the market like the startup Bitwise Asset Management which recently introduced a cryptocurrency investment fund. So even if Jamie Dimon, CEO of J.P. Morgan, is still vocally against it, a Bitcoin investment has proven to be much more than a fraudulent fad. As a result, with all its recent grown, it’s definitely a highly tempting investment vehicle. At the same time, if you’re going to make a Bitcoin investment, you have to take on significant risk because the digital currency market is highly unpredictable. But for investors who are able to effectively manage their risk and invest for the long-term, it has the potential to be highly beneficial.